Accessing scientific literature from home | Christoph Bartneck, Ph.D. 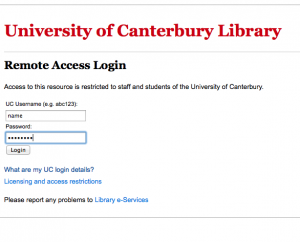 I work for the University of Canterbury and once I am connected to the university network, I can easily access scientific literature since most publishers authenticate users through their IP address. When I work from home or from off-campus I do not have a university IP address and hence it is harder to get access. Many authors do post their PDF files online these days, but just not enough of them. There are several ways on how to access all the literature from home. First, you can use the Firepass system, but it does remain rather difficult, in particular if you do not work on Windows or if you do not have the device with you. A much better way is to use the proxy server of the library in combination with Google Scholar. 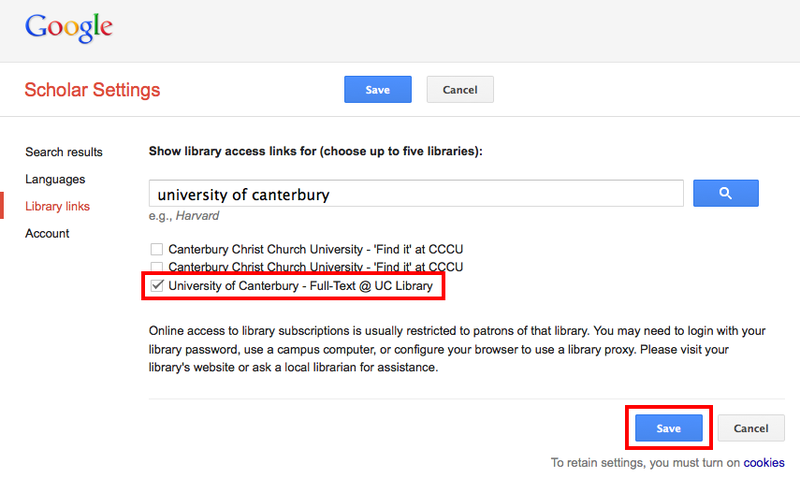 Next, you need to select “Library links” and enter the name of your university. In my case this is University of Canterbury. Hit the search button. Google Scholar will present you with a list of search result and you need to select the right one before you click on “Save”. 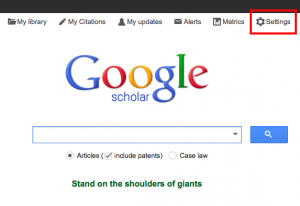 When you now perform a search on Google Scholar you will see on your right a link to the full text via your library. Click on it. 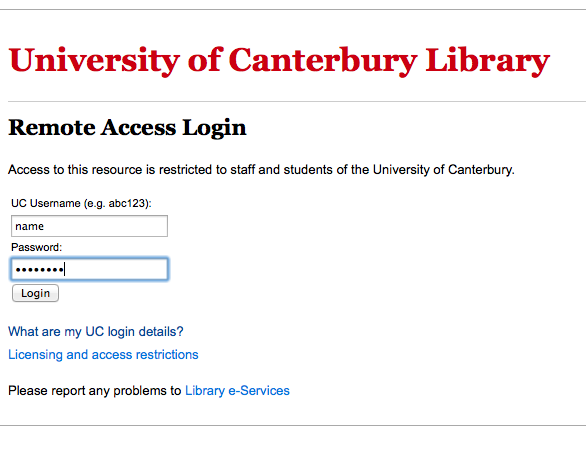 You will now be presented with a login screen from you university proxy server. Once you entered you login and password you have direct access to the PDF files. 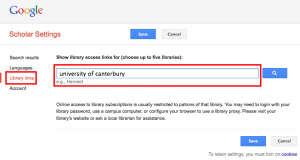 If you are not a big fan of Google Scholar then you can still use the library proxy server. 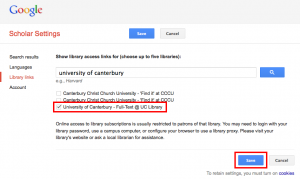 Simply type in the address bar of your browser: “https://login.ezproxy.canterbury.ac.nz/login?qurl=linkToTheArticle” where linkToTheArticle is the URL of the paper you are after.